Fortunately, Anne McPherson was able to buy a copy of A Year in My Kitchen, but unfortunately, I discovered that it is indeed out of print. 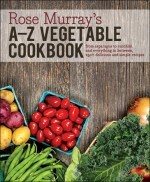 I know it has been a favourite of those who own it because I get many people listing off recipes they’ve made from it. It is always great to hear that people actually use my books. Most of my other titles are still in print. 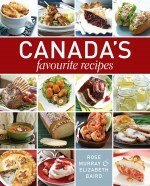 A Taste of Canada (went into a second printing in four short months), Hungry for Comfort (won the 2004 Cuisine Canada/University of Guelph national book gold and bronze awards), 125 Best Casseroles & One-Pot Meals (originally printed as Rose Murray’s New Casseroles and Other One-Dish Meals), 125 Best Chicken Recipes (originally printed as Quick Chicken), Rose Murray’s Vegetable Cookbook (published way back in 1983) are all still in print and available. Congradulations on receiving your recent OHI award. It is well deserved. 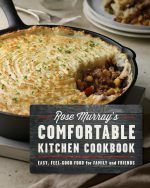 You are truly an inspiration to food writers and broadcasters like myself and to everyday Canadians who read and use your recipes and watch your broadcasts.